Study on the Flood and Sediment Transporting Capacity of Diaokouhe Flow Path in Different Application Ways WANG Kairong;YU Xin;CHEN Xiongbo;YU Shoubing;HAN Qiaolan;WANG Wanzhan;Yellow River Institute of Hydraulic Research;Key Laboratory of Yellow River Sediment Research of Ministry of Water Resources;Yellow River Engineering Consulting Co. Analysis of Ice Flood Control Benifits in the Yellow River Catchment in Recent 70 Years TIAN Wei;CHEN Weibin;CAI Chunxiang;Yellow River Engineering Consulting Co. Analysis of Irrigation Benefits of the Yellow River Management in Recent 70 Years AN Yujie;ZHAO Maihuan;SU Liu;XIAO Sujun;Yellow River Engineering Consulting Co. Analysis of Urban Water Supply Benefits of the Yellow River Management in Recent 70 Years SONG Hongxia;HU Xiaoyan;Yellow River Engineering Consulting Co.
Hydropower Benefit Analysis of the Yellow River in Recent 70 Years WEI Hongtao;JIA Dongmei;WANG Hongmei;Yellow River Engineering Consulting Co. Discussion on the Key Parameters of the Material Reserves Calculation for the Yellow River Flood Control CUI Meng;HUANG Shuge;LIU Shengyun;ZHANG Ruihai;BAO Ruchao;Yellow River Engineering Consulting Co. Discussion on Aquatic Ecological Environment Issues and Countermeasures in Heihe River Basin DONG Hongxia;HUANG Haizhen;LIU Daqing;WANG Lei;NING Yawei;Yellow River Engineering Consulting Co. 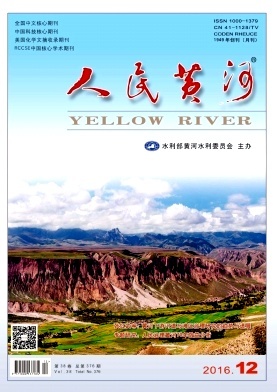 Classification Method of Geological Hazards Hidden Investigation of Hydropower Project in the Upper Reaches of the Yellow River ZHANG Yi;LI Ji;Huanghe Hydropower Development Co.